Carrying past baggage and pain? Struggling with an addiction you can’t overcome? Can’t seem to find lasting freedom from your past? Want to be free from those haunting memories? We have good news – Jesus Christ came to set you totally free! 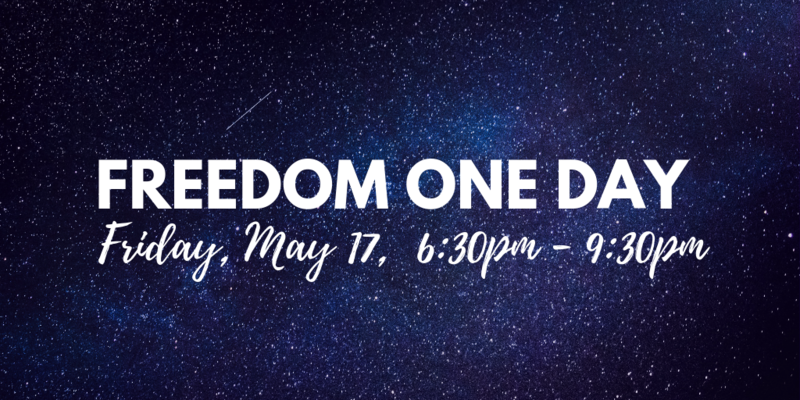 We would love to invite you to join us Friday, May 17 for our upcoming “Freedom One Day” – refreshments provided, and the event is FREE! Text “FREEDOM” to 763-600-7040 to sign-up.